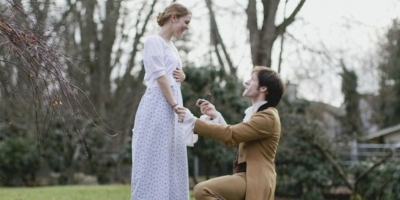 In Pride and Prejudice, Jane Austen explores the fine line between proposing to someone and making one's proposal sound more like a proposition. In the novel, Mr. Collins and later Mr. Darcy both propose to Miss Elizabeth Bennet. She rejects both of them. Why? Elizabeth's decision not to accept either of them is both right and wrong. Despite her reasons for rejecting them, Mr. Collins and Mr. Darcy could do with some guidance in terms of understanding the difference between a proposal and a proposition! MR. (RAY) CIACCI is the former Dean of Students and Director of the Master of Liberal Arts, and former director of the Graduate Student-at-Large and Returning Scholar programs in the Graham School of General Studies. Ray has been a lecturer in the Humanities Collegiate Division in the College at the University of Chicago since the 1991 Winter Quarter. He began his teaching in the Basic Program in 1981 and chaired the Basic Program from 1985 to 1990. He received his Ph.D. from the Committee on the Ancient Mediterranean World in June 1990 and subsequently has taught Human Being and Citizen, Form, Problem, and Event, and Greek Thought and Literature in the College. Ray has taught a number of alumni classes in the Basic Program and given numerous First Friday, Works of the Mind, and Basic Program Weekend lectures on a variety of subjects, which ranges from Homer and the Bible to contemporary writers. Ray is a frequent lecturer for the Wagner Society, Jane Austen Society, University Club, and Chicago Opera Theatre. Aesthetics and Intellectual history are among his chief interests, reflected in classes which he has designed on diverse subjects, from Schopenhauer, Nietzsche, and Wagner, to the great speech writers, from Pericles to the present time. Over the last few years, Ray has taught all of the Mozart and Verdi operas which has led to an in-depth study of the great conductors.